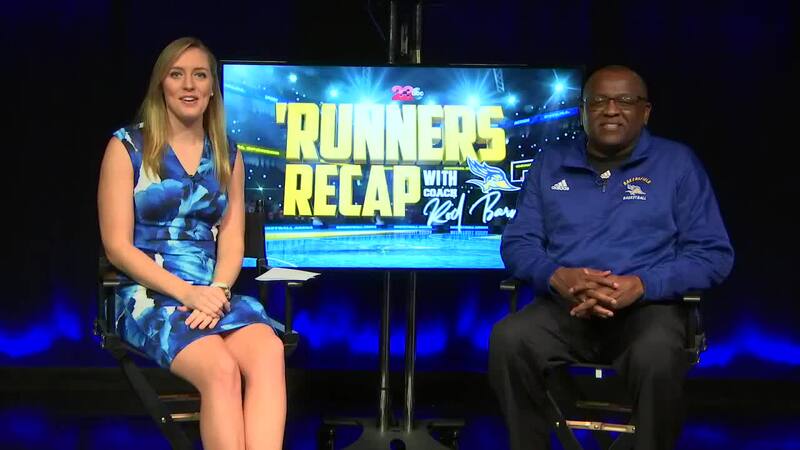 BAKERSFIELD, Calif. — Episode eight of the 'Runners Recap with Rod Barnes. A weekly segment on 23ABC where Kari Osep sits down with head coach Rod Barnes of the CSUB men's basketball program. In this episode, Coach Barnes recaps the 'Runners loss to USC on the road and some of the positives he saw in that game like, the fast start the 'Runners got off, too despite a hostile environment. He also talked about the learning lessons that they team had from playing a bigger team in terms of size from the players. And the team learned some of the factors that hold them back from closing out close games. Then, Barnes previewed another weekend road game ahead in South Dakota, a team facing similar challenges and the importance of scheduling road games on the weekends. Also, Kari puts coach in the hot seat with five random questions at the end during the 'Breakdown with Barnes'.